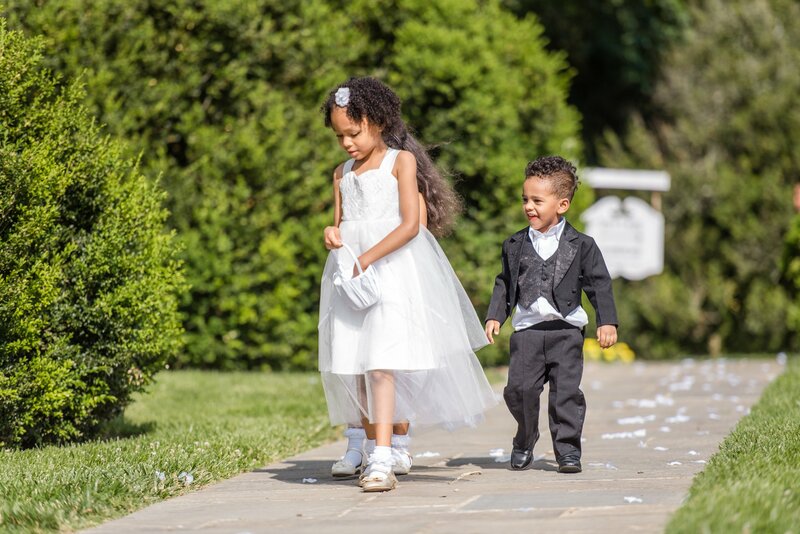 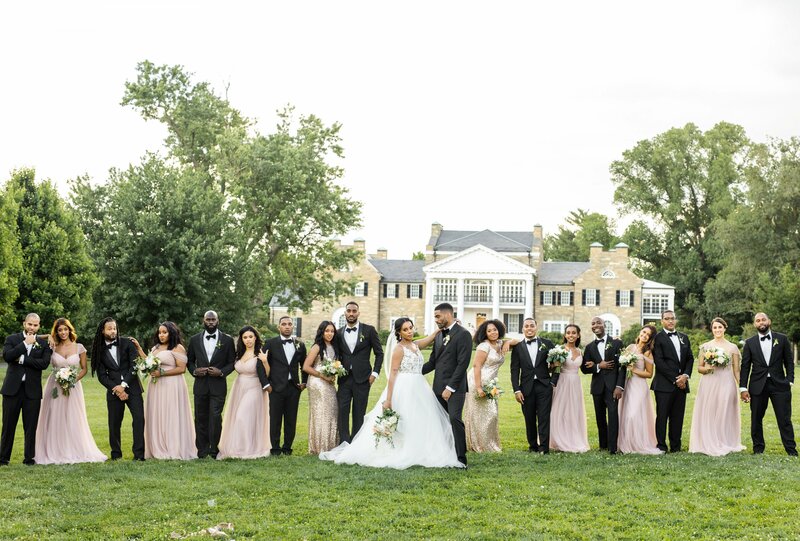 Meron Kassahun and Reshad Favors wed in June of 2017 at Glenview Mansion in Rockville, MD. 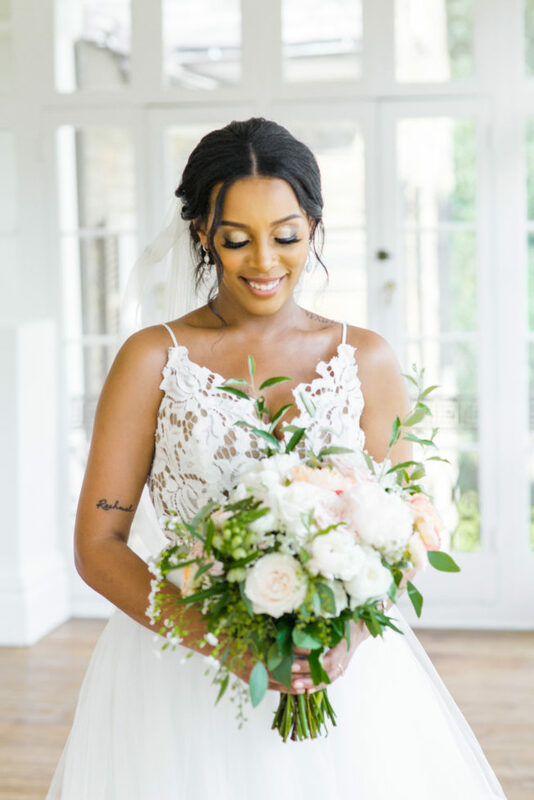 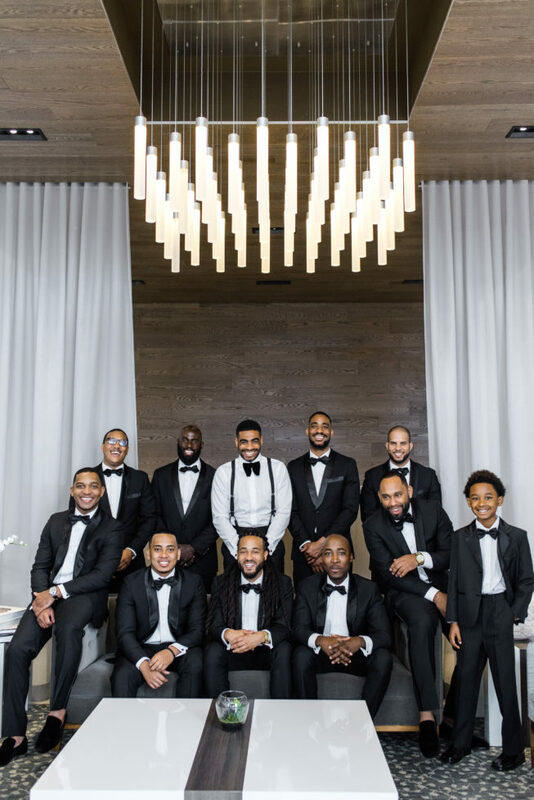 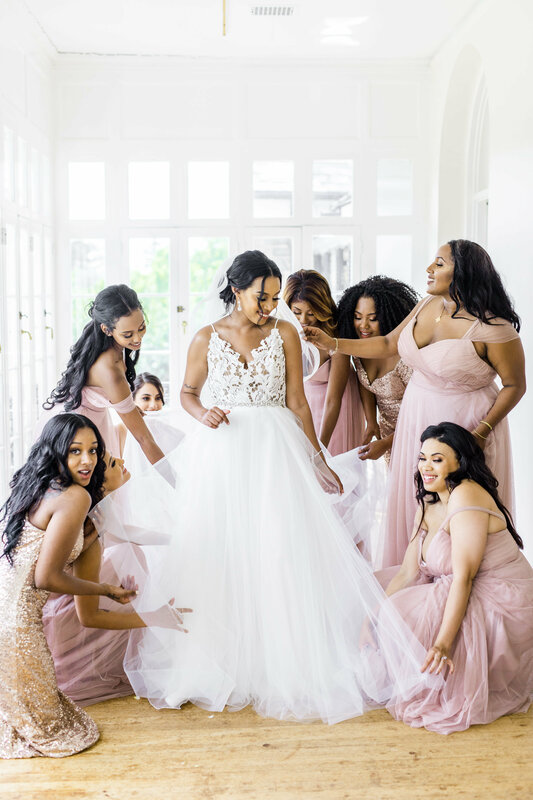 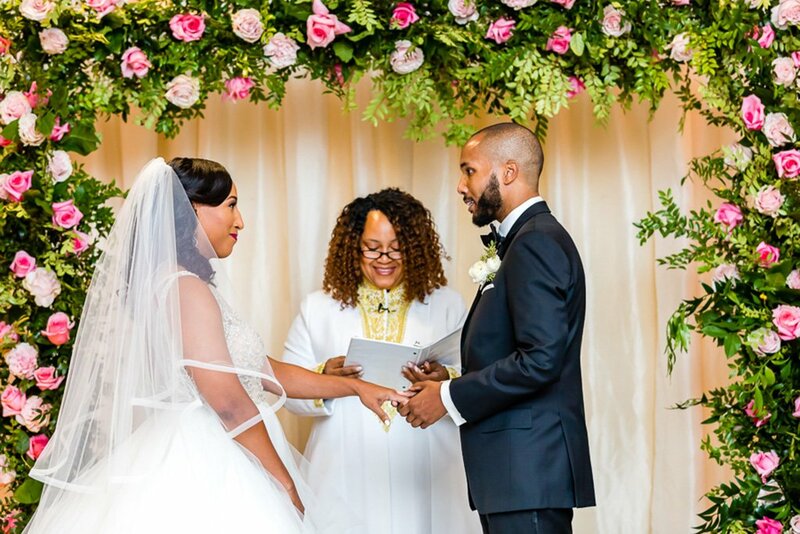 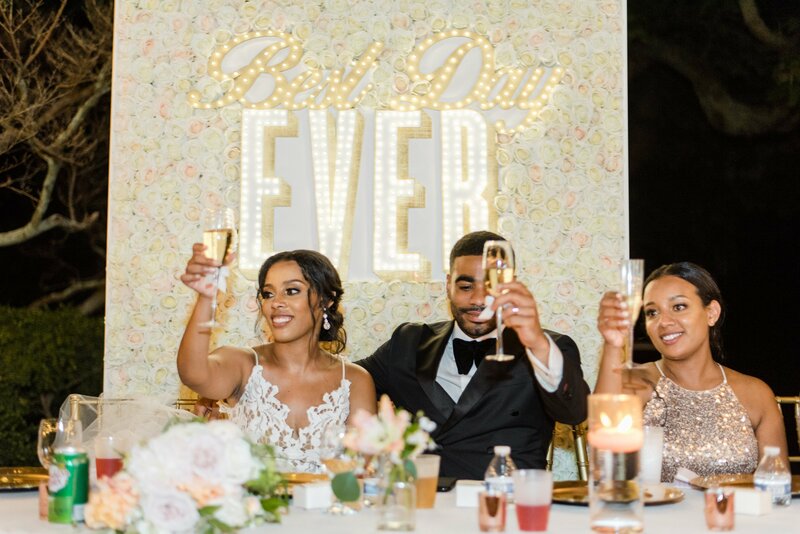 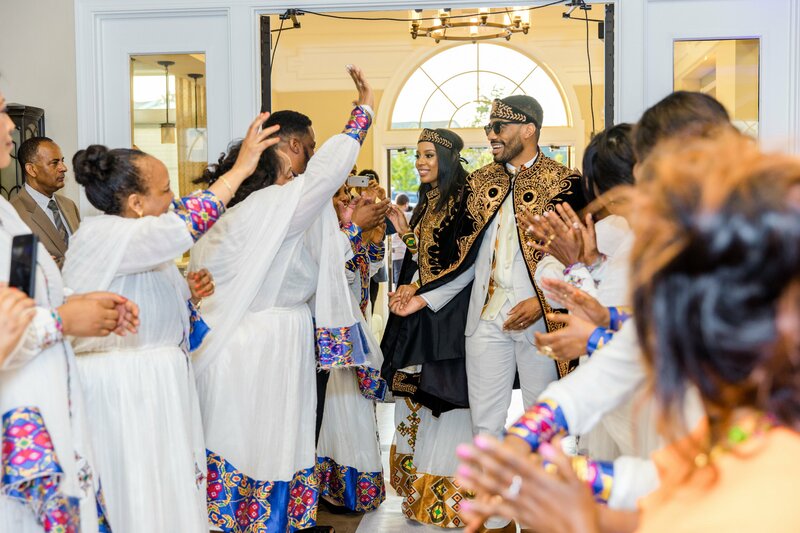 Meron Kassahun, a Washington hospitality professional originally from Ethiopia, and Reshad Favors, an attorney from Florida, met at the Florida engagement party of a mutual friend. 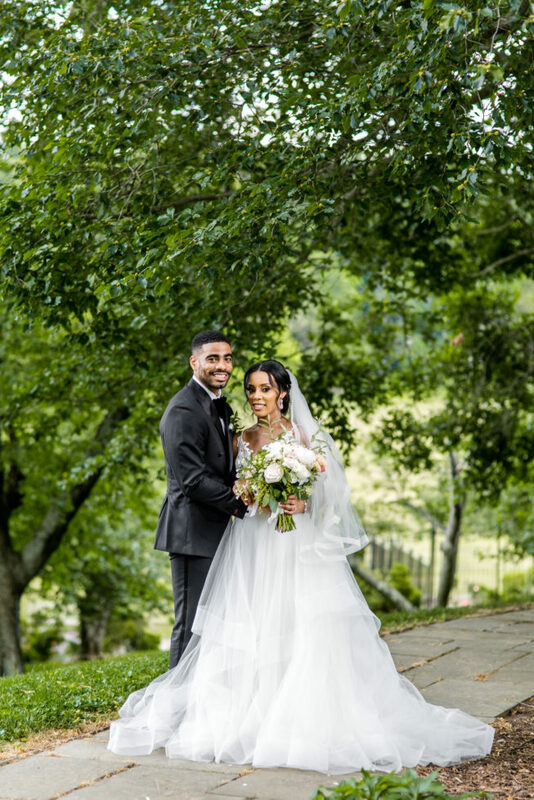 Rashad was too nervous to make conversation, but he began following Meron’s Instagram account that night. 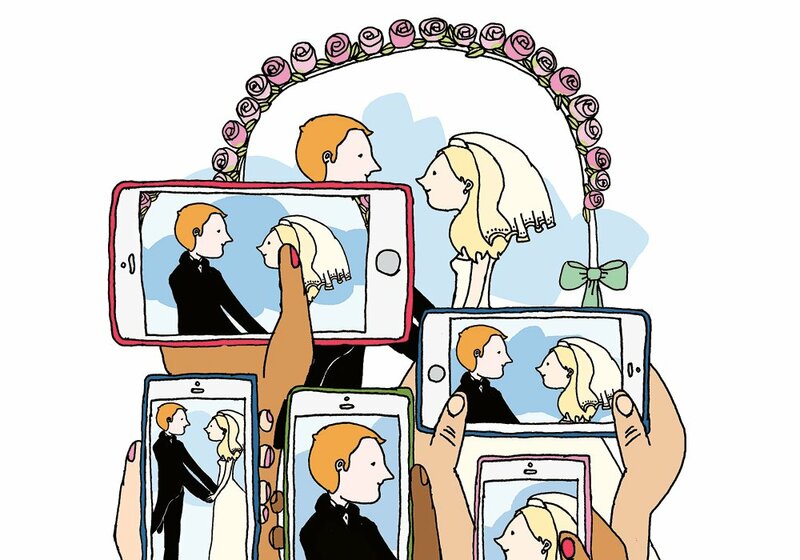 After “liking” each other’s photos for a while, he asked for her phone number. 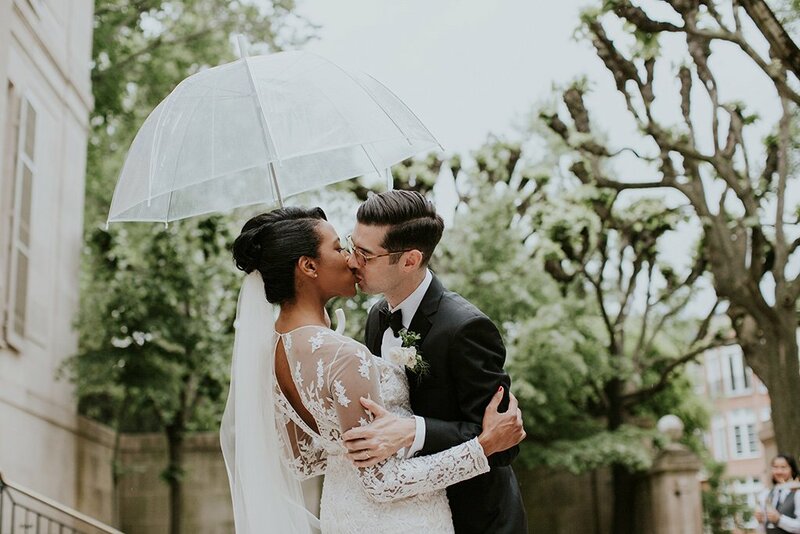 Before long, Meron was flying back to the Sunshine State for their first date. 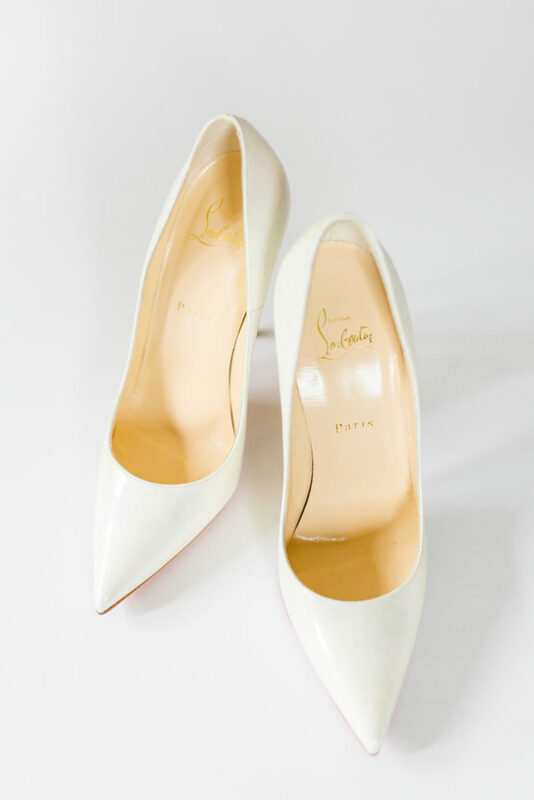 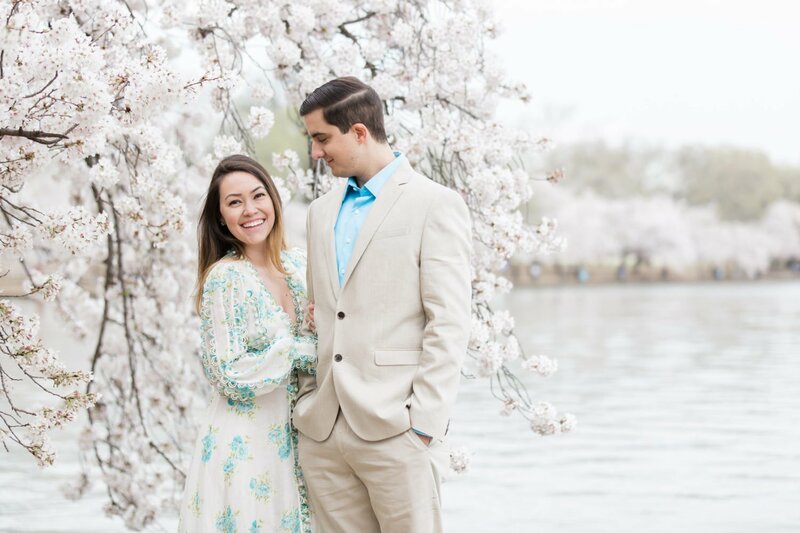 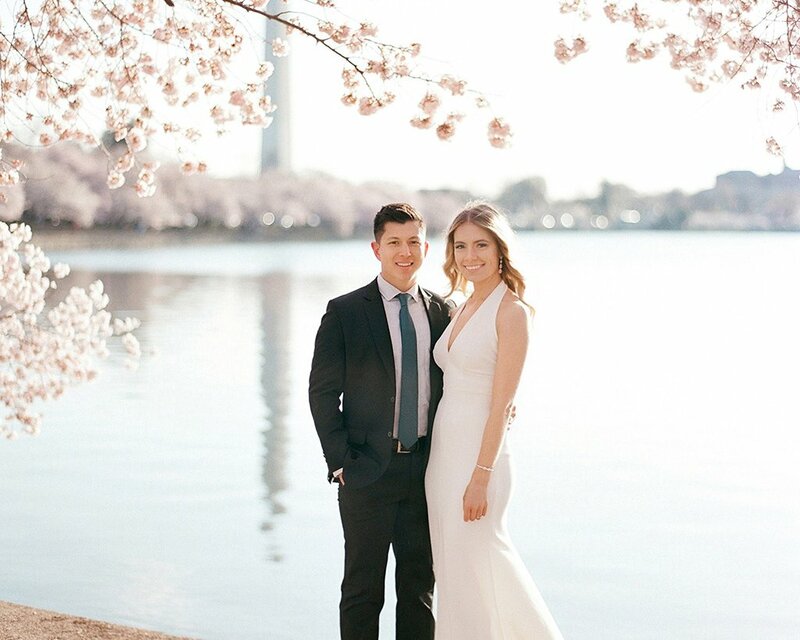 Reshad eventually moved to DC, and 3½ years after that first date, he proposed during a springtime walk around the Tidal Basin. 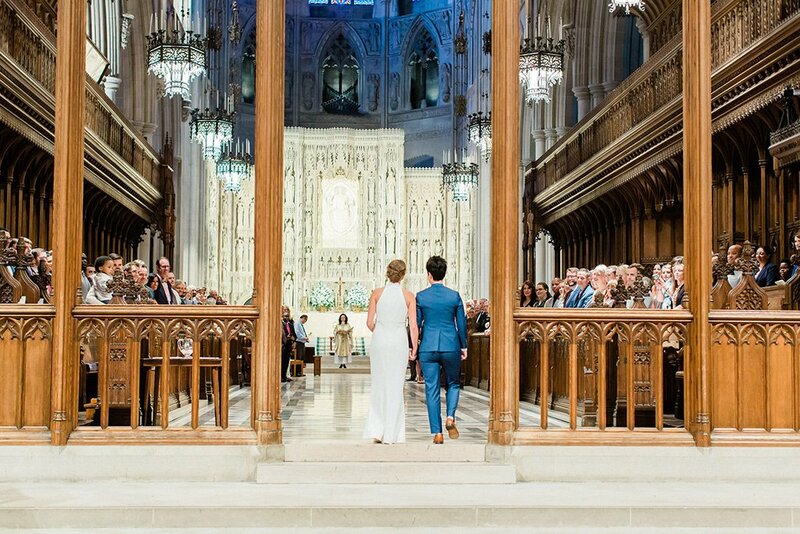 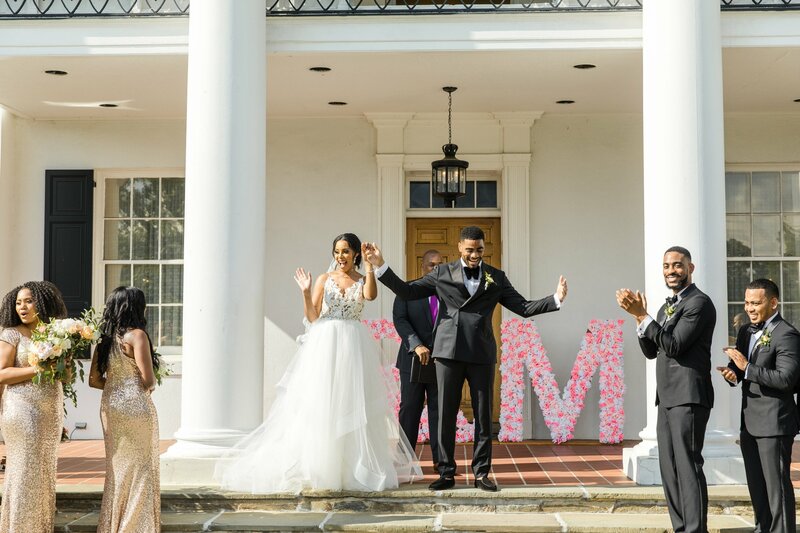 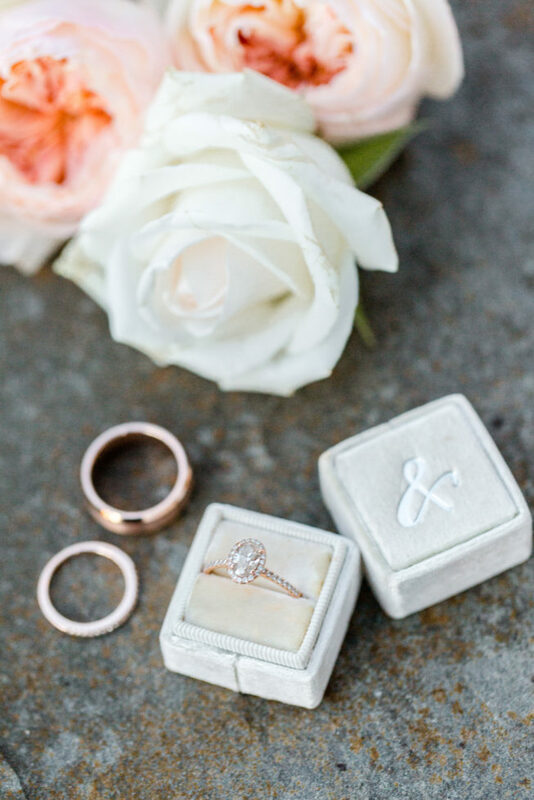 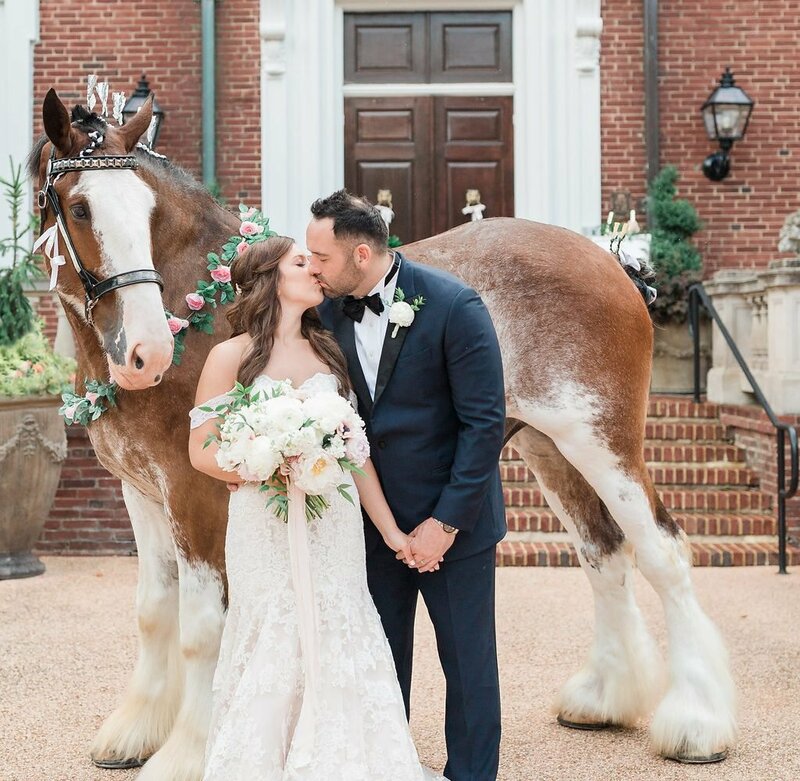 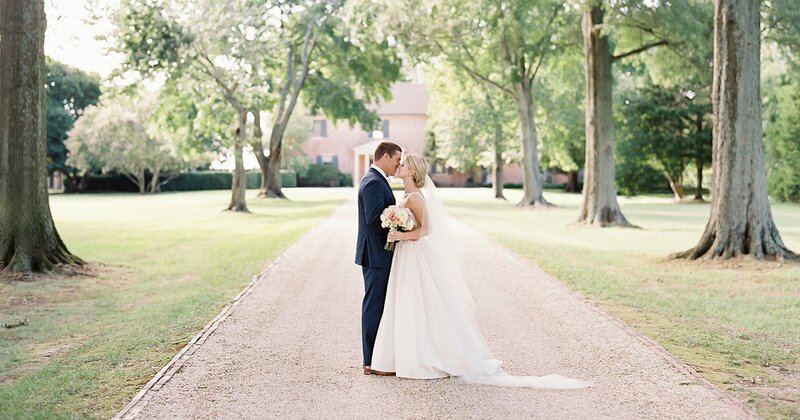 Over the course of a year, they planned a romantic summer wedding. 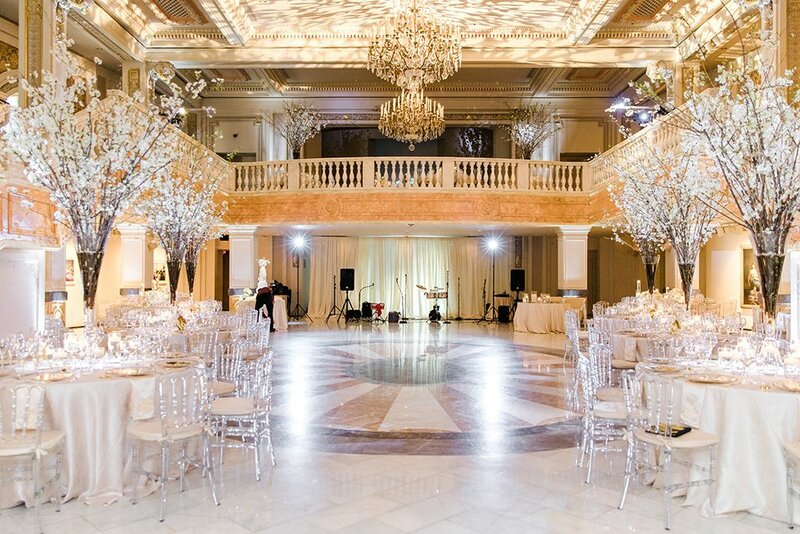 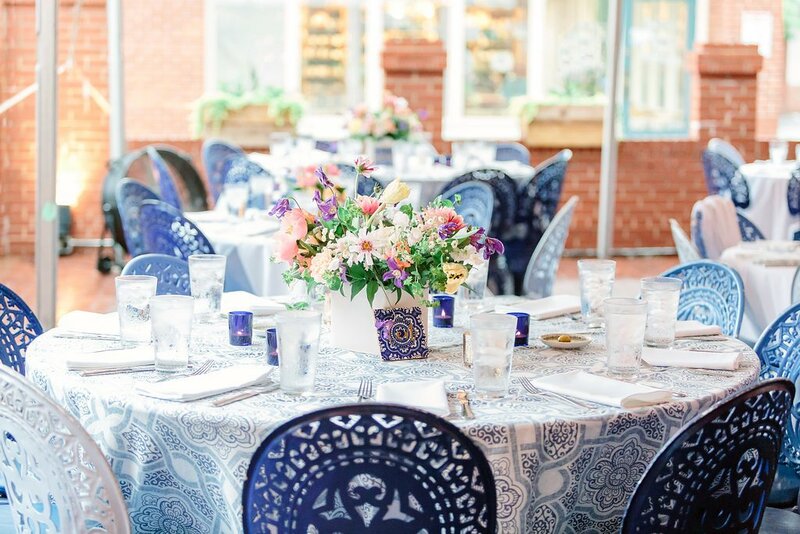 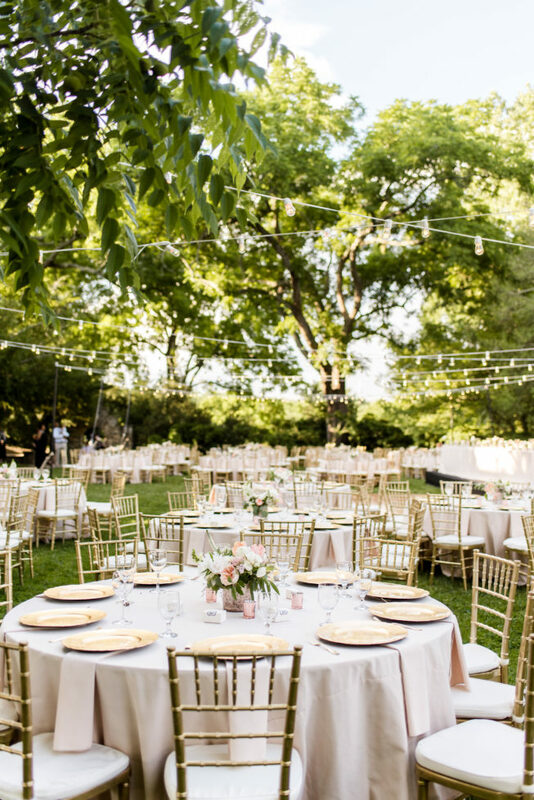 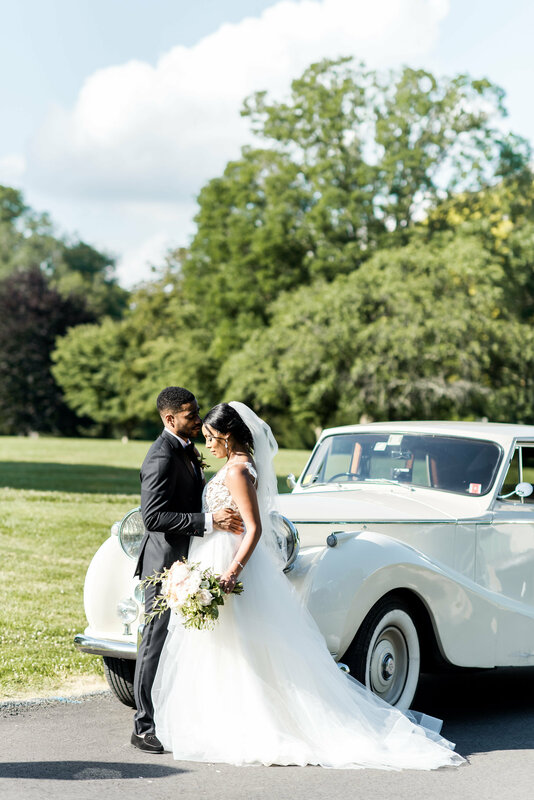 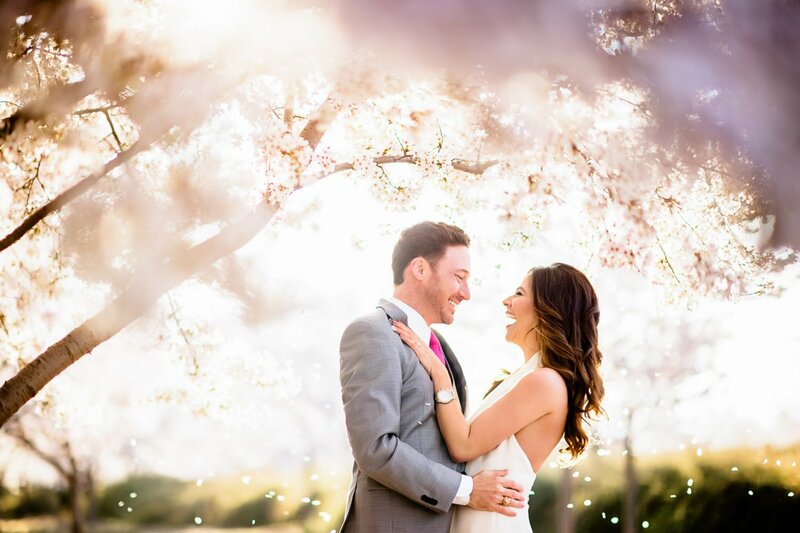 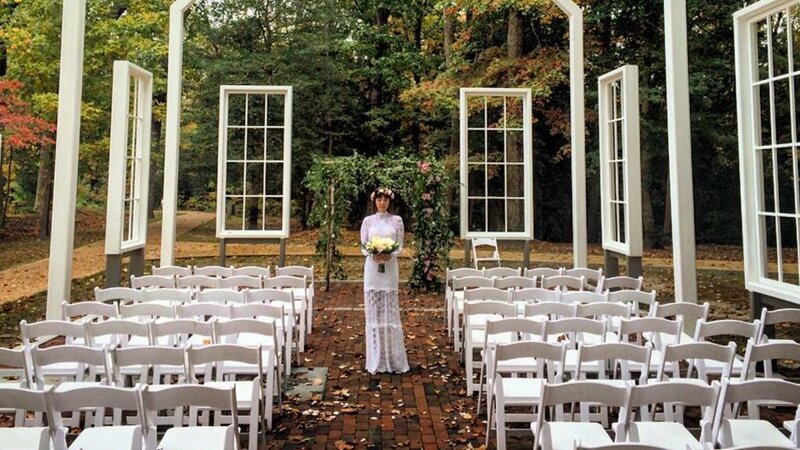 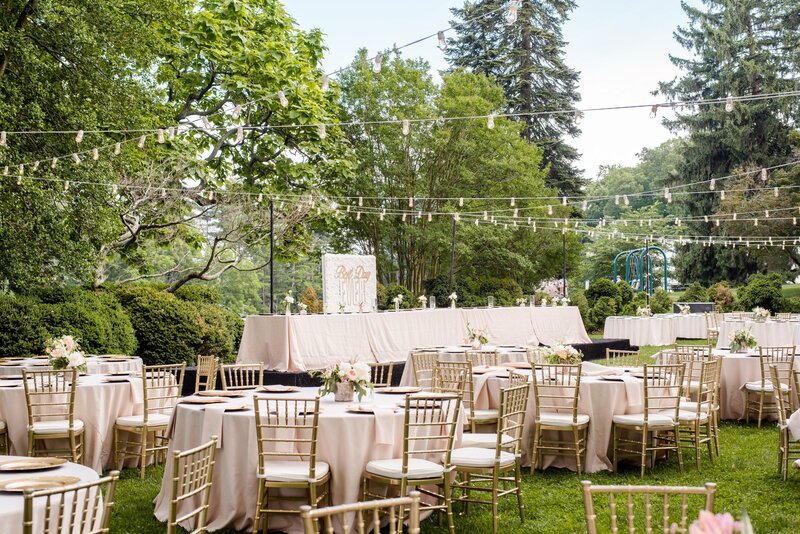 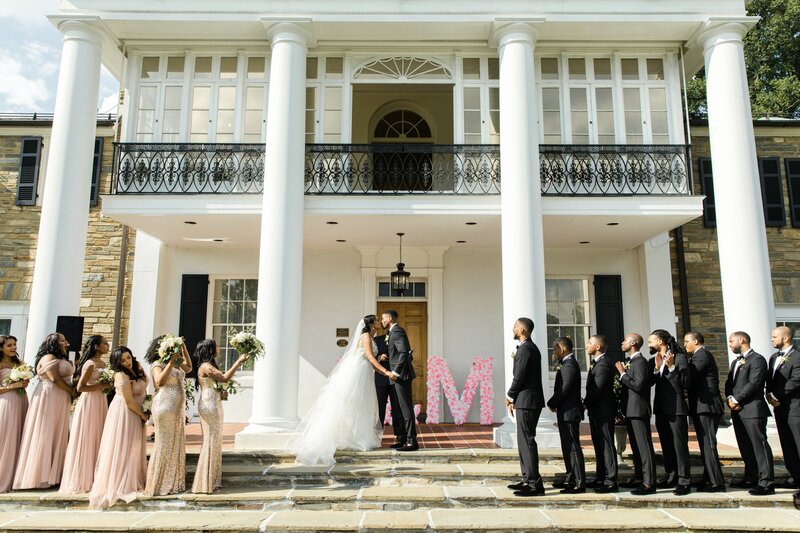 “I knew I wanted my wedding outside, with string lighting and soft colors,” says Meron. 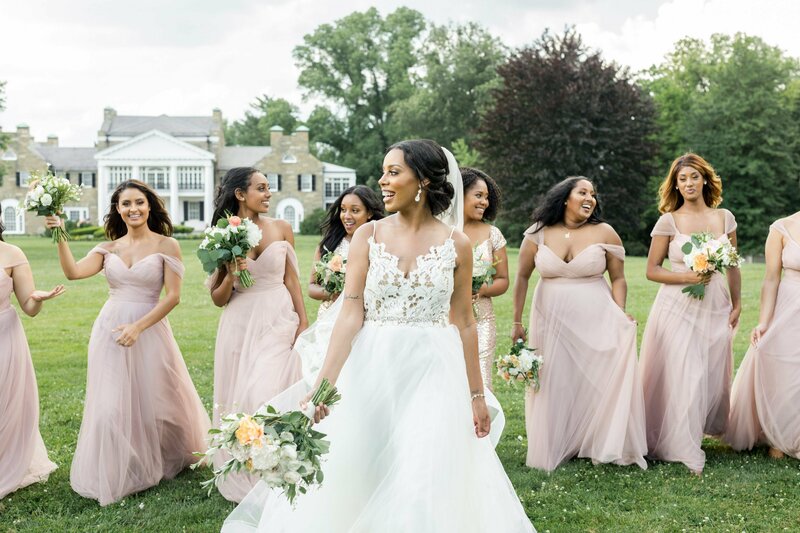 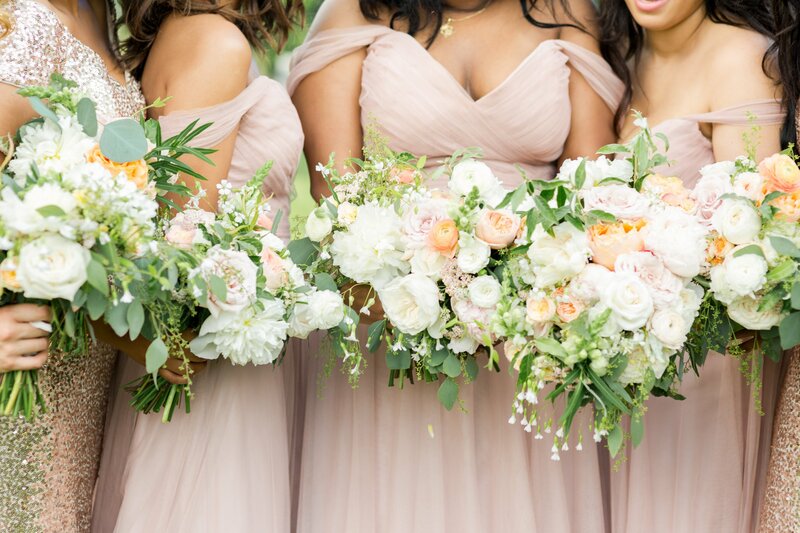 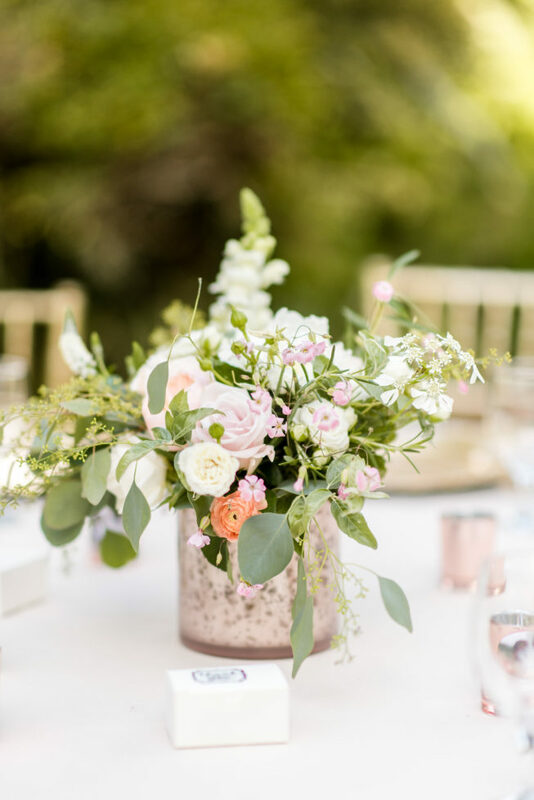 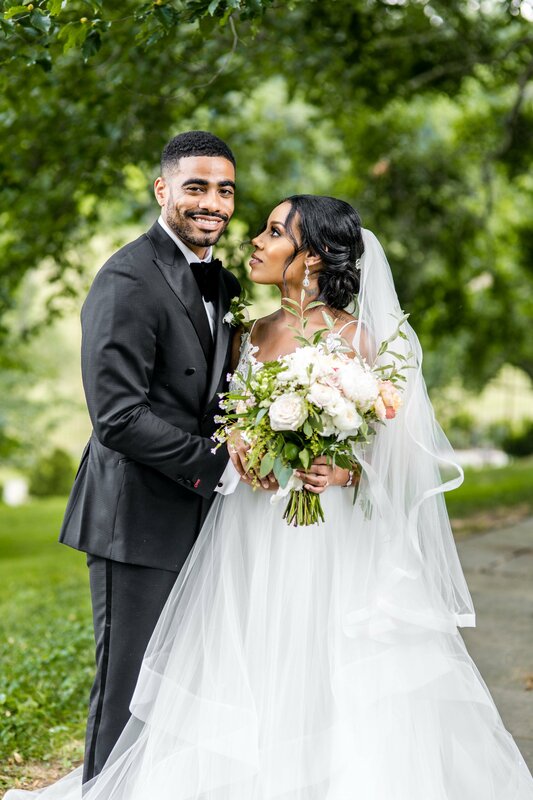 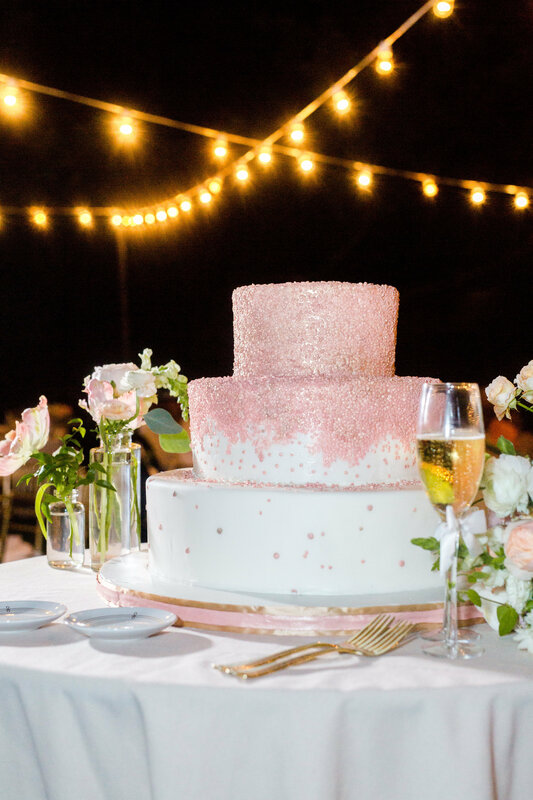 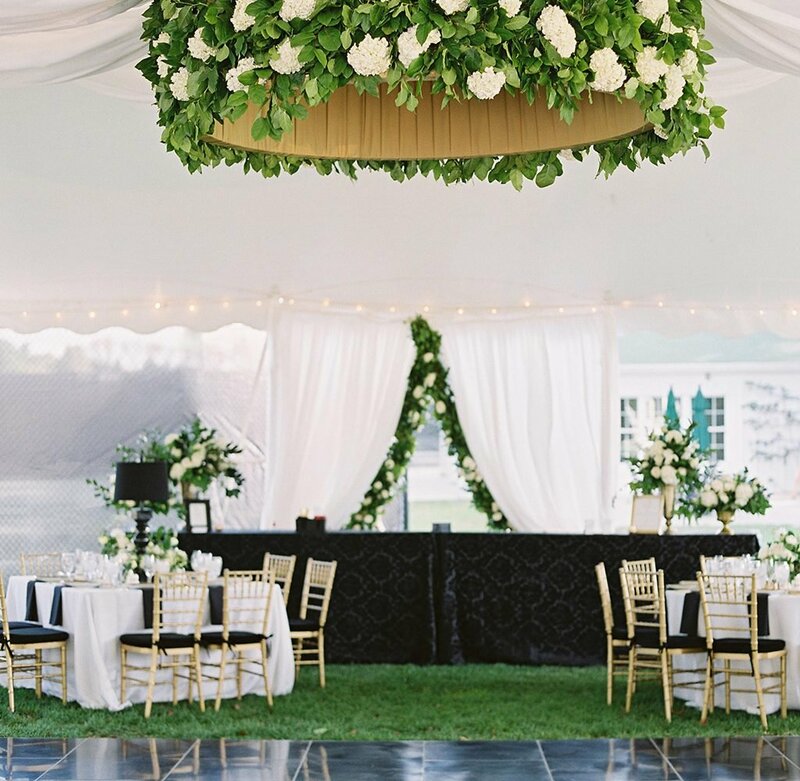 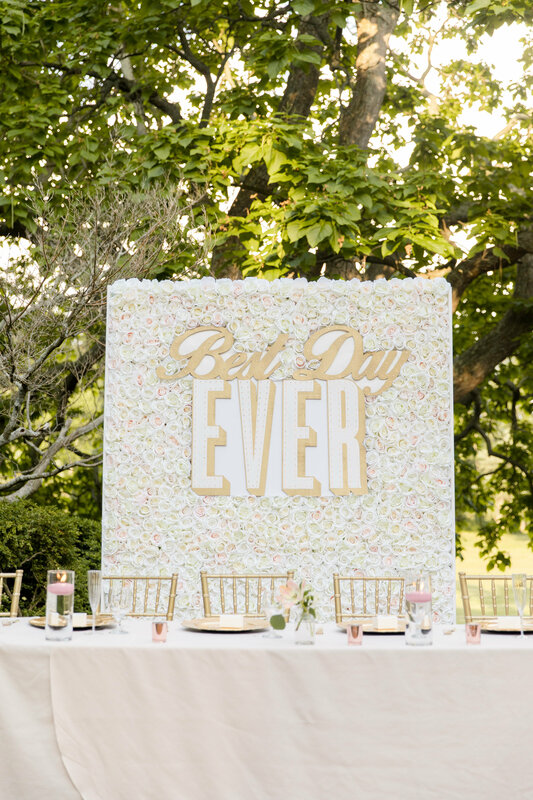 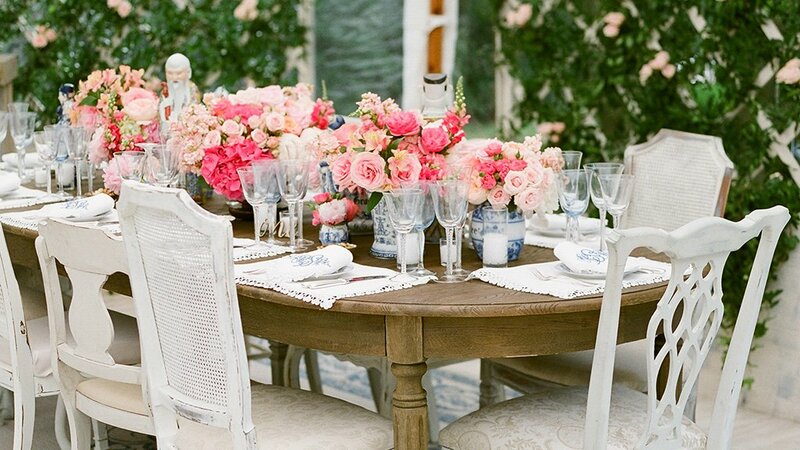 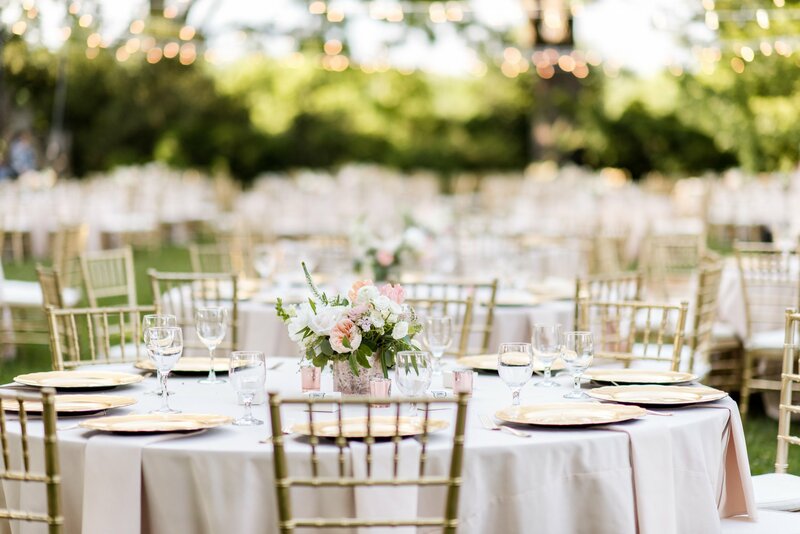 The couple chose a white tent for their reception, and blush-toned floral arrangements that included peonies, ranunculus, garden roses, rice flowers, snapdragons, and sweet-pea vines from the personal garden of Darling & Daughters florist Maria Young. 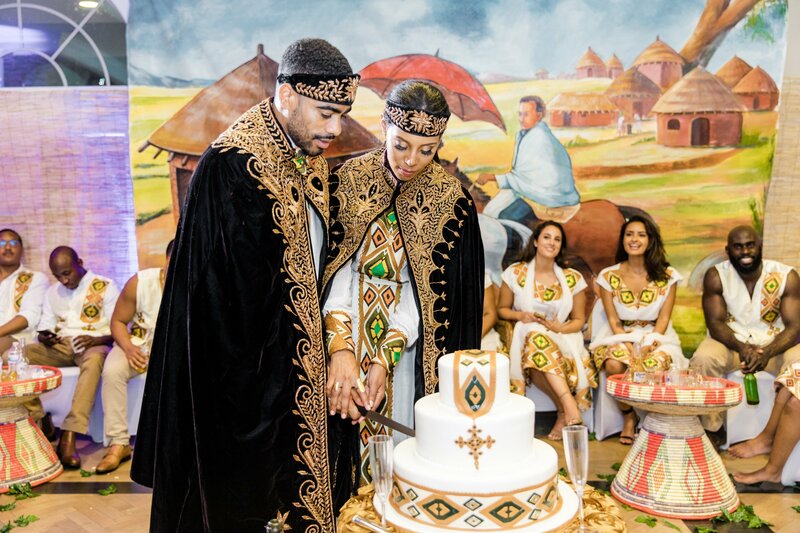 Rose-gold votives and candy abounded, and guests enjoyed a mix of Ethiopian and Southern comfort dishes. 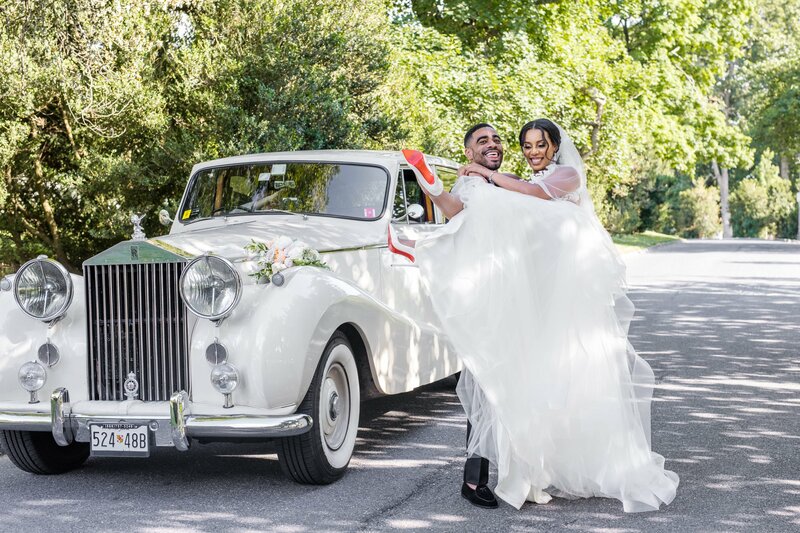 Outside, a vintage car was the backdrop for the newlyweds’ portraits.